Use Wine to run the Battle.net app. A working install of Ubuntu 18.04 with root privileges. The latest graphics drivers for your system couldn't hurt either. 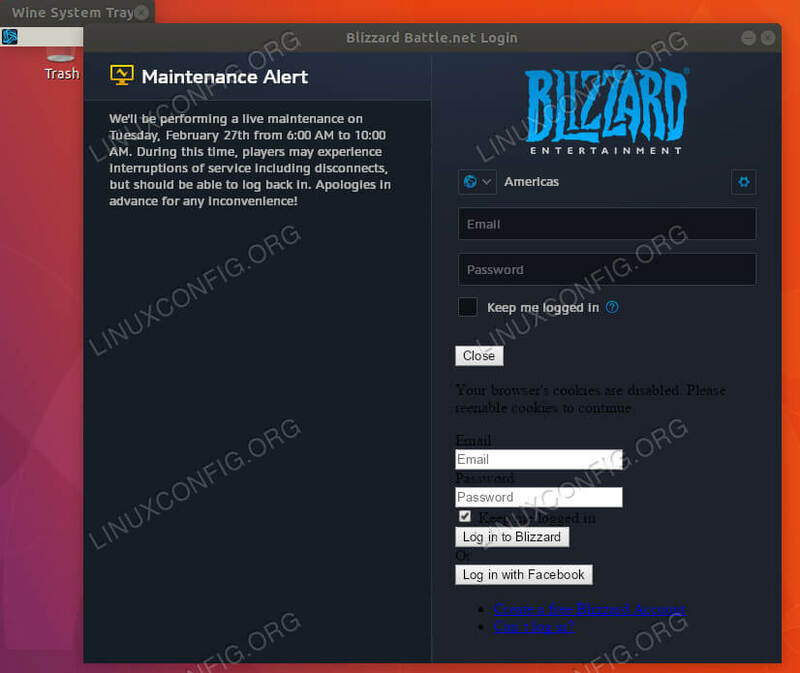 Blizzard's games are wildly popular, and most of them work very well in Wine on Linux. Sure, they're not officially supported, but that doesn't mean that it's hard to get them running on Ubuntu. Before you get started, make sure that you have the latest graphics drivers for your system installed. Playing games would be kind of hard without them. Of course, you're going to need Wine to install the Battle.net app. Right now, Wine is undergoing a bit of an odd transition. The maintainers of Wine's staging branch recently abandoned it, but the Lutris project quickly picked it back up. At the time you're reading this, it might not be a concern, but right now, it definitely is. 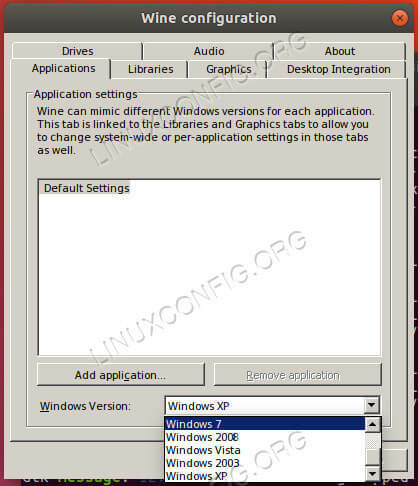 As a result, the main guide will focus on the latest vanilla Wine release from Ubuntu, but you can absolutely install the latest staging or Gallium Nine versions when they become available. 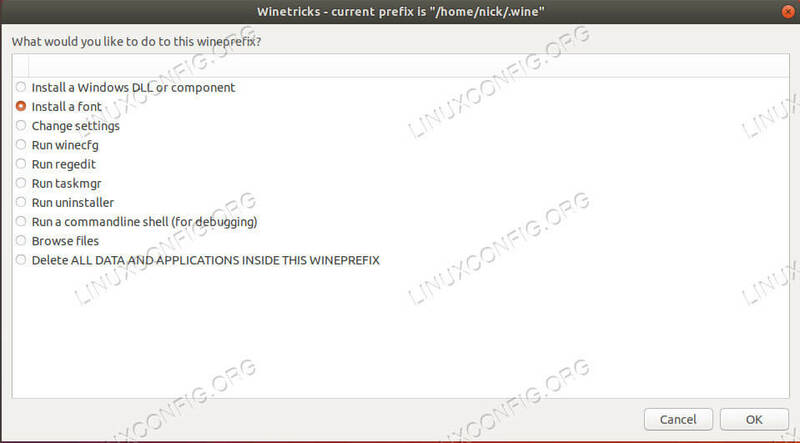 In addition to Wine, you'll need to install the winetricks configuration script and winbind, which the app needs to function. If you have decided to go with the staging branch, you can install it this way. The Battle.net app is a weird mess of of things that assumes that you have certain things on your system in order to work properly. To give you a bit of an idea; it's written in Qt, but it requires Internet Explorer. Knowing that, it makes a bit more sense why it's one of the more frustrating apps to run in Wine. Open up winetricks. If you can't find a graphical launcher, open it in the terminal with winetricks. Leave Select the default wineprefix selected, and click Ok. On the next screen, select Install a font. That'll open up a list of the available fonts. Find corefonts, and check it. 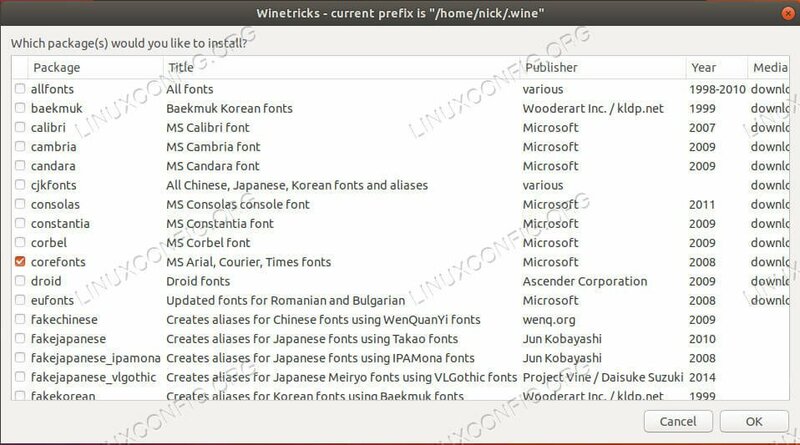 Then, press Ok. Winetricks will install all of the basic Microsoft fonts that Battle.net expects to find. Next, follow the same process, but select Install a Windows DLL or component instead. On this one, scroll through and check off ie8 and vcrun2015. When you have them both, press Ok. The installer should take a bit of time, and it will be messy. Winetricks will prompt you multiple times that it's working around bugs. Don't worry. Just follow the prompts that you see. When it's done, keep pressing Cancel to exit. Before you continue, you'll need to tell Wine to run as Windows 7. 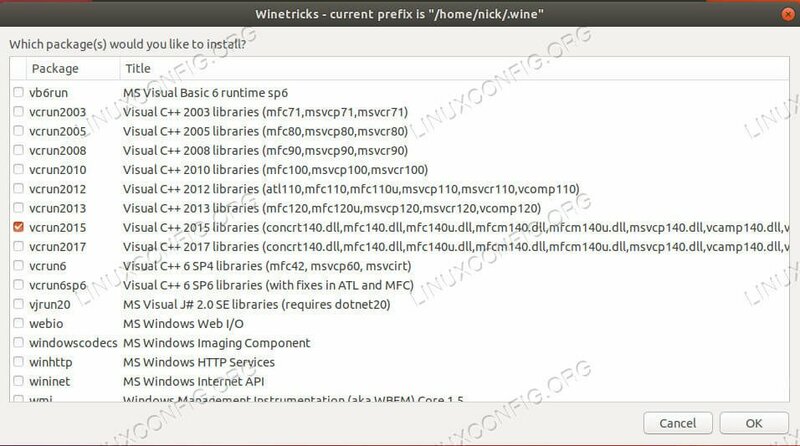 The winetricks process probably set it back to Windows XP, which Battle.net won't like. Run winecfg. On the first tab you see, change the Windows version at the bottom back to Windows 7, and apply the change. You're finally ready to install Battle.net. 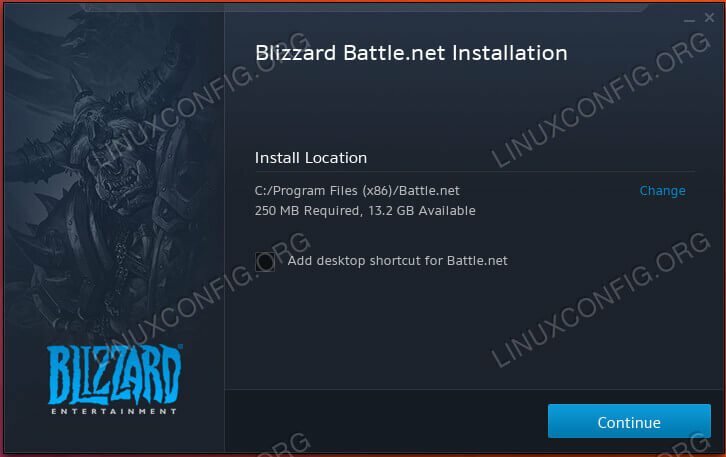 Go over to Blizzard's download page and get the version for Windows. Save the .exe somewhere you'll find it, like your Downloads folder. While Ubuntu should recognize how to open the installer with Wine, it might not. The most direct way to get the job done is with the terminal. Follow the installation process as normal. There isn't anything special here. When it comes back around to let you log in, you might notice a really ugly screen. That's okay. The Battle.net app doesn't always render properly in Wine. Sign in with your account. After you do, the full app will open up, just like it would on Windows (except possibly uglier). It doesn't matter if some of the graphics aren't there. All of the core functionality still is, and it won't impact your games at all. That's it! 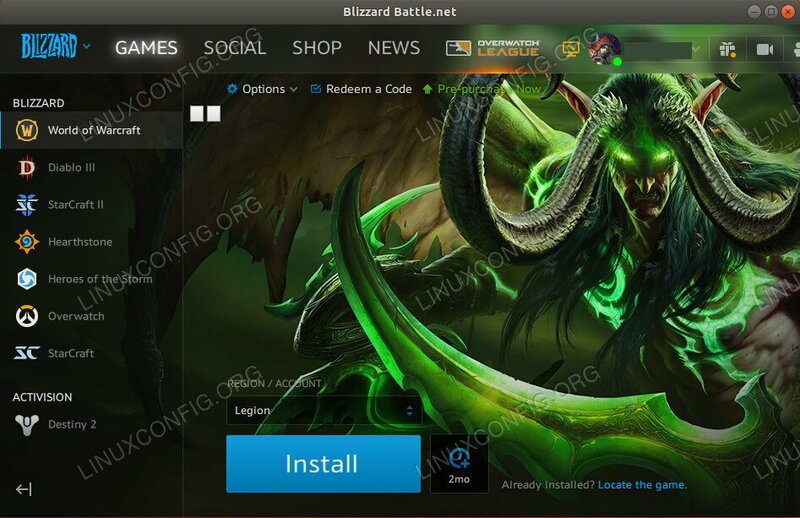 You're ready to install and play your favorite Blizzard games. Be sure to look up the requirements for specific games. For example, don't expect to play Overwatch on vanilla Wine. It still only works on staging. Some games might benefit from special launch time flags, like Heroes of the storm that requires -dx9 to launch because DX11 support isn't ready yet. Also, remember that Blizzard can change things at any time. Check the Wine appdb for updates if something goes wrong.